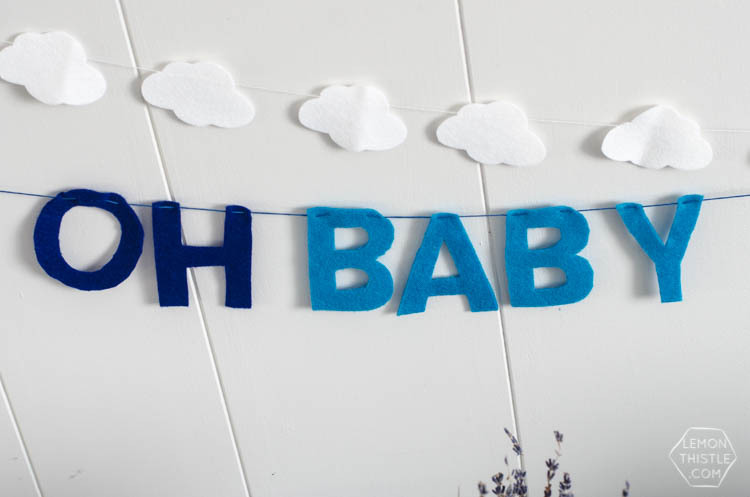 Today I’m sharing this fun ‘Oh Baby!’ ombre felt party garland with you. 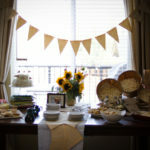 It’s one of my favourite garlands I’ve made to date (probably because it’s a bit cheeky). 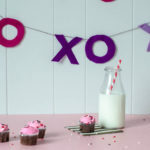 I created this garland for The Little Umbrella months ago and I’d say it’s about time I shared it with you! 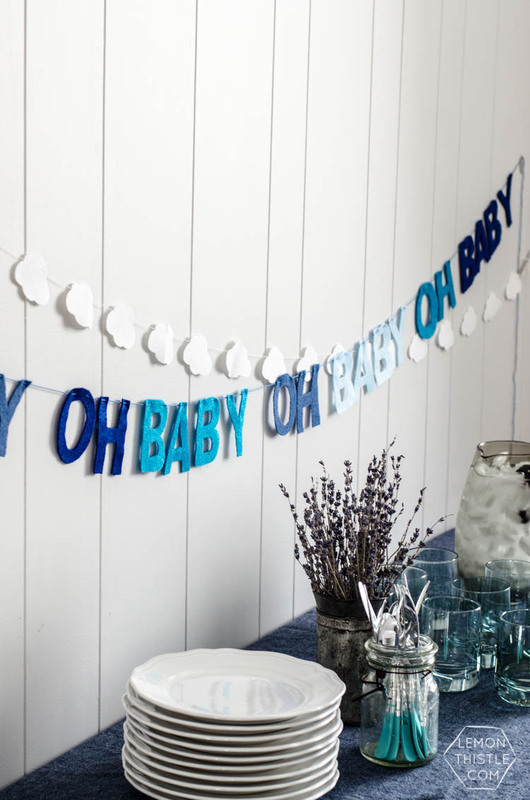 You could really choose any phrase in the world for this garland, just create a template for yourself in a text editor. 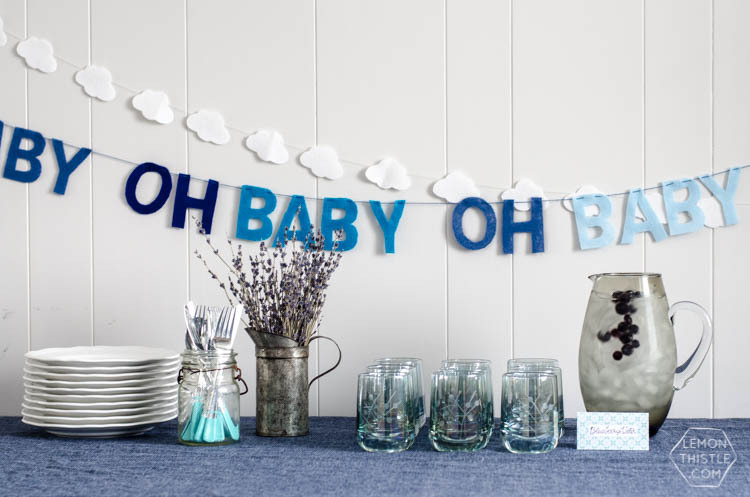 I love the ombre blues with the cloud garland (that ones from The Land of Nod) it reminds me of a true baby ‘shower’. You don’t need any fancy tools to make this garland, just a good ol’ craft knife! 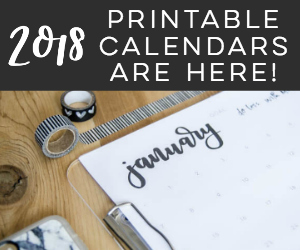 Start by printing out your template, you can choose to download mine for free here or you can make your own. 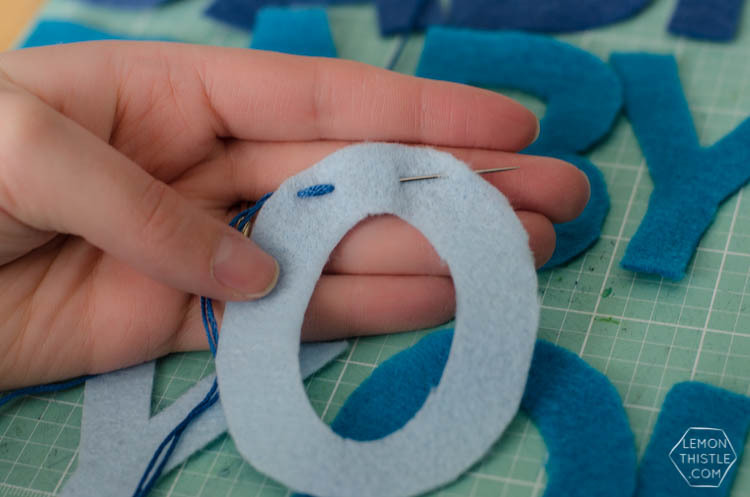 I find the thick block fonts to work best, if it’s too thin of a stroke the felt loses it’s shape. 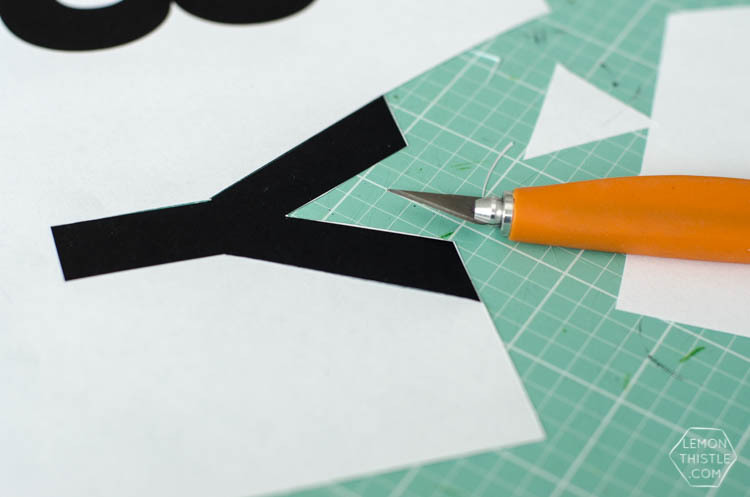 Cut out your template using either scissors or your craft knife. 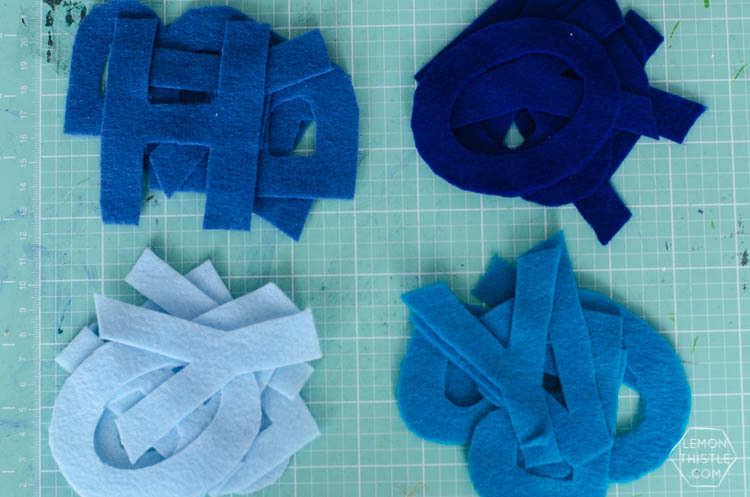 When you have all your template letters cut, lay them out on your felt sheets to make the most of each sheet. 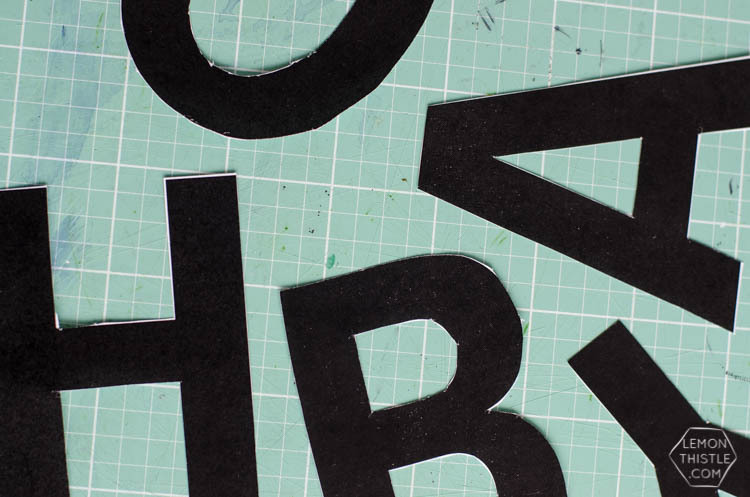 Use your craft knife to cut around the template letter. 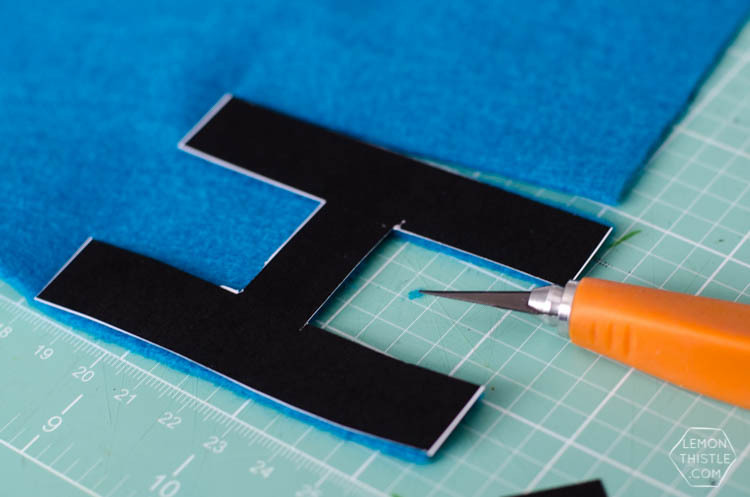 Some tips for cutting felt? You NEED a sharp knife, otherwise your edges will look frayed and you’ll be crazy frustrated (from experience). Hold the template letter down firmly to avoid it slipping around and you losing the shape of your letter. 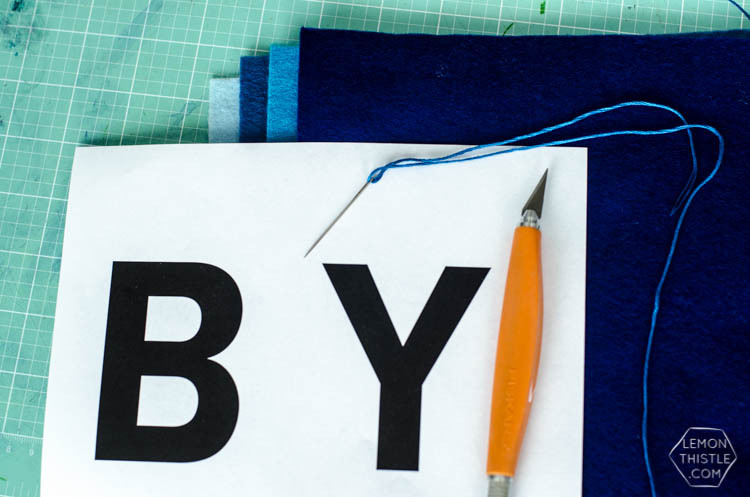 To cut through the felt, press firmly with the craft knife, allowing as much of the blade as possible to contact the felt at once. This is better than dragging the tip of the knife which will give your edges a frayed look. It’s a bit of a tedious process, but once you get the hang of it, you’ll fly through. I’d totally spend the extra couple dollars and get yourself a craft knife with a wider grip (this is the one I use and love). You know me- put on an episode from Netflix and you’ll have your garland cut out in no time! 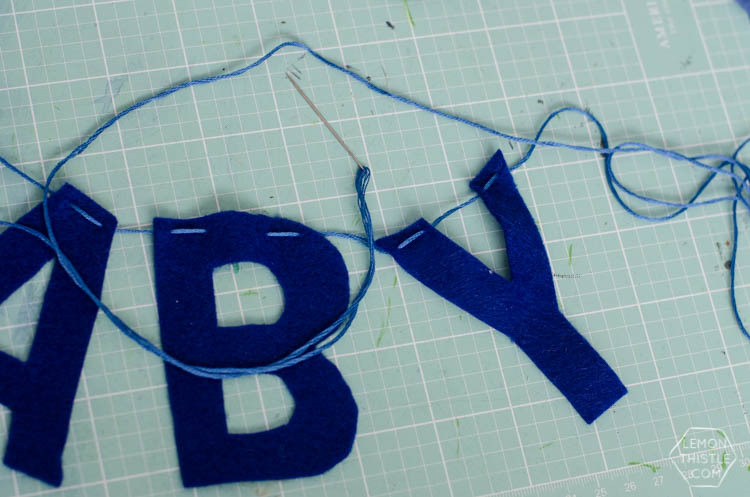 When all your letters are cut, thread your needle with a coordinating colour of embroidery thread. 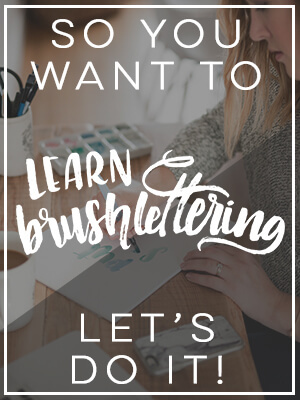 Make sure to face all your letters in the right direction (also from experience), threading them on in order. 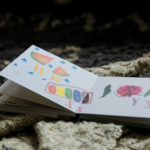 I chose to give each letter two ‘stitches’ threading from the back to front and back for each ‘stitch’. On the ‘A’ There was only room for one. When they’re all threaded on, tape your garland to the wall and take some time spacing out the letters to make it juust so. 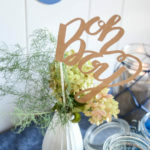 If your garland was going to be in a kids room or somewhere where it’s being handled a lot, you could consider adding a dab of hot glue on the back to hold the letters in place. They stay in place pretty well without it though. That’s all there is to it! 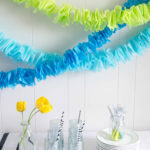 Now you can get your party on- woohoo ;) I store my garlands by winding them around a piece of cardboard. 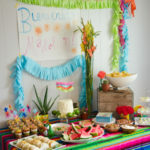 If you’re going to make something out of felt, you may as well hold onto it for another party! So tell me… what phrase would you make? Also… are you a TV crafter like me? I figure if it’s a brainless task and there’s a lot of it, may as well get a laugh in while I’m working ;) What’s your binge show of choice? Cute! I love the water glasses on the table. Where are those from?